David Chu serves as President of the Institute for Defense Analyses. IDA is a non-profit corporation operating in the public interest. Its three federally funded research and development centers provide objective analyses of national security issues and related national challenges, particularly those requiring extraordinary scientific and technical expertise. As president, Dr. Chu directs the activities of more than 1,000 scientists and technologists. Together, they conduct and support research requested by federal agencies involved in advancing national security and advising on science and technology issues. Dr. Chu served in the Department of Defense as Under Secretary of Defense for Personnel and Readiness from 2001-2009, and earlier as Assistant Secretary of Defense and Director for Program Analysis and Evaluation from 1981-1993. From 1978-1981 he was the Assistant Director of the Congressional Budget Office for National Security and International Affairs. Dr. Chu served in the U. S. Army from 1968-1970. He was an economist with the RAND Corporation from 1970-1978, director of RAND’s Washington Office from 1994-1998, and vice president for its Army Research Division from 1998-2001. He earned a bachelor of arts in economics and mathematics, and his doctorate in economics, from Yale University. 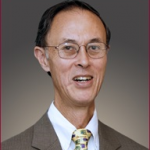 Dr. Chu is a member of the Defense Science Board and a Fellow of the National Academy of Public Administration. He is a recipient of the Department of Defense Medal for Distinguished Public Service with Gold Palm, the Department of Veterans Affairs Meritorious Service Award, the Department of the Army Distinguished Civilian Service Award, the Department of the Navy Distinguished Public Service Award, and the National Academy of Public Administration’s National Public Service Award. Charles Clancy is the Bradley Professor of Electrical and Computer Engineering at Virginia Tech where he serves as the Executive Director of the Hume Center for National Security and Technology. Clancy leads a range of strategic programs at Virginia Tech related to security, including the Commonwealth Cyber Initiative. Prior to joining VT in 2010, Clancy was an engineering leader in the National Security Agency, leading research programs in digital communications and signal processing. He received his PhD from the University of Maryland, MS from University of Illinois, and BS from the Rose-Hulman Institute of Technology. He is co-author to over 200 peer-reviewed academic publications, six books, over twenty patents, and co-founder to five venture-backed startup companies. 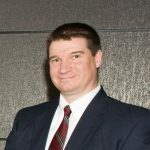 Mr. Timothy S. Dare is the Deputy Director for Developmental Test, Evaluation and Prototyping (DD(DTEP)). As the DD(DTEP), he serves as the principal advisor on developmental test and evaluation (DT&E) to the Secretary of Defense, Under Secretary of Defense for Research and Engineering, and Director of Defense Research and Engineering for Advanced Capabilities. 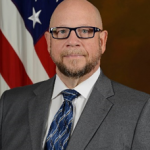 Mr. Dare is responsible for DT&E policy and guidance in support of the acquisition of major Department of Defense (DoD) systems, and providing advocacy, oversight, and guidance to the DT&E acquisition workforce. He informs policy and advances leading edge technologies through the development of advanced technology concepts, and developmental and operational prototypes. By working closely with interagency partners, academia, industry and governmental labs, he identifies, develops and demonstrates multi-domain technologies and concepts that address high-priority DoD, multi-Service, and Combatant Command warfighting needs. Prior to his appointment in December 2018, Mr. Dare was a Senior Program Manager for program management and capture at Lockheed Martin (LM) Space. In this role he was responsible for the capture and execution phases of multiple Intercontinental Ballistic Missile programs for Minuteman III, including a new airborne Nuclear Command and Control (NC2) development program. His major responsibilities included establishing program working environments at multiple locations, policies, processes, staffing, budget and technical baselines. Mr. Dare has extensive T&E and prototyping experience. As the Engineering Program Manager for the $1.8B Integrated Space C2 programs for NORAD/NORTHCOM systems at Cheyenne Mountain, Mr. Dare was the Integration and Test lead focusing on planning, executing, and evaluating the integration and test phases (developmental and operational T&E) for Missile Warning and Space Situational Awareness (SSA) systems. Mr. Dare has also been the Engineering Lead/Integration and Test lead on other systems such as the Hubble Space Telescope; international border control systems; artificial intelligence (AI) development systems (knowledge-based reasoning); Service-based networking systems for the UK Ministry of Defence; Army C2 systems; Space Fence C2; and foreign intelligence, surveillance, and reconnaissance systems. As part of the Department’s strategic defense portfolio, Mr. Dare led the development of advanced prototypes in SSA C2 (Space Fence), Information Assurance (Single Sign-on), AI systems, and was the sponsoring program manager for NC2 capability development. Mr. Dare is a graduate of Purdue University and is a member of both the Association for Computing Machinery and Program Management Institute. He has been recognized by the U.S. Air Force for his contributions supporting NORAD/NORTHCOM’s strategic defense missions, and the National Aeronautics and Space Administration for his contributions to the original Hubble Space Telescope program. Mr. Dare holds a U.S. Patent for Single Sign-on architectures. Dr. Laura Freeman is an Assistant Director of the Operational Evaluation Division at the Institute for Defense Analyses. In that position, she established and developed an interdisciplinary analytical team of statisticians, psychologists, and engineers to advance scientific approaches to DoD test and evaluation. 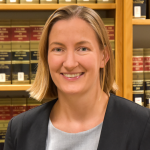 Her focus areas include test design, statistical data analysis, modeling and simulation validation, human-system interactions, reliability analysis, software testing, and cybersecurity testing. Dr. Freeman currently leads a research task for the Chief Management Officer (CMO) aiming to reform DoD testing. She guides an interdisciplinary team in recommending changes and developing best practices. Reform initiatives include incorporating mission context early in the acquisition lifecycle, integrating all test activities, and improving data management processes. During 2018, Dr. Freeman served as that acting Senior Technical Advisor for Director Operational Test and Evaluation (DOT&E). As the Senior Technical Advisor, Dr. Freeman provided leadership, advice, and counsel to all personnel on technical aspects of testing military systems. She served as a liaison with Service technical advisors, General Officers, and members of the Senior Executive Service on key technical issues. She reviewed test strategies, plans, and reports from all systems on DOT&E oversight. During her tenure at IDA, Dr. Freeman has designed tests and conducted statistical analyses for programs of national importance including weapon systems, missile defense, undersea warfare systems, command and control systems, and most recently the F-35. She prioritizes supporting the analytical community in the DoD workforce. She developed and taught numerous courses on advanced test design and statistical analysis, including two new Defense Acquisition University (DAU) Courses on statistical methods. She is a founding organizer of DATAWorks (Defense and Aerospace Test and Analysis Workshop), a workshop designed to share new methods, provide training, and share best practices between NASA, the DoD, and National Labs. Dr. Freeman is the recipient of the 2017 IDA Goodpaster Award for Excellence in Research and the 2013 International Test and Evaluation Association (ITEA) Junior Achiever Award. 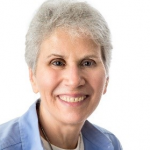 She is a member of the American Statistical Association, the American Society for Quality, the International Statistical Engineering Association, and ITEA. She serves on the editorial boards for Quality Engineering, Quality Reliability Engineering International, and the ITEA Journal. Her areas of statistical expertise include designed experiments, reliability analysis, and industrial statistics. Prior to joining IDA in 2010, Dr. Freeman worked at SAIC providing statistical guidance to the Director, Operational Test and Evaluation. She also consulted with NASA on various projects. In 2008, Dr. Freeman established the Laboratory for Interdisciplinary Statistical Analyses at Virginia Tech and Served as its inaugural Director. Dr. Freeman has a B.S. in Aerospace Engineering, a M.S. in Statistics and a Ph.D. in Statistics, all from Virginia Tech. Her Ph.D. research was on design and analysis of experiments for reliability data. 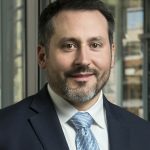 Jared Freeman, Ph.D., is Chief Scientist of Aptima and Chair of the Human Systems Division of the National Defense Industry Association. His research and publications address measurement, assessment, and enhancement of human learning, cognition, and performance in technologically complex military environments. Over the past 45 years, Mike’s primary focus has been on the management of research and development, focusing on making the results more useful in meeting the needs of the user community. 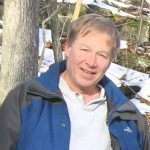 Since 1984, he has specialized in communications, data and processing systems, including projects in NASA, the US Air Force, the FAA and the Census Bureau. Before that, he worked on Major System Acquisition Programs, in the Department of Defense including Marine Corps combat vehicles and US Navy submarines. Currently, Mike manages a comprehensive program to provide NASA’s Earth Science research efforts with the information technologies it will need in the 2020-2035 time-frame to characterize, model and understand the Earth. This Program addresses the full range of data lifecycle from generating data using instruments and models, through the management of the data and including the ways in which information technology can help to exploit the data. Of particular interest today are the ways in which NASA can measure and understand transient and transitional phenomena and the impact of climate change. The AIST Program focuses the application of applied math and statistics, artificial intelligence, case-based reasoning, machine learning and automation to improve our ability to use observational data and model output in understanding Earth’s physical processes and natural phenomena. Wendy Martinez has been serving as the Director of the Mathematical Statistics Research Center at the Bureau of Labor Statistics (BLS) for six years. Prior to this, she served in several research positions throughout the Department of Defense. She held the position of Science and Technology Program Officer at the Office of Naval Research, where she established a research portfolio comprised of academia and industry performers developing data science products for the future Navy and Marine Corps. Her areas of interest include computational statistics, exploratory data analysis, and text data mining. She is the lead author of three books on MATLAB and statistics. Dr. Martinez was elected as a Fellow of the American Statistical Association (ASA) in 2006 and is an elected member of the International Statistical Institute. She was honored by the American Statistical Association when she received the ASA Founders Award at the JSM 2017 conference. Wendy is also proud and grateful to have been elected as the 2020 ASA President. Dr. Parker is Team Lead for Advanced Measurement Systems at the National Aeronautics and Space Administration’s Langley Research Center in Hampton, Virginia. He serves an Agency-wide statistical expert across all of NASA’s mission directorates of Exploration, Aeronautics, and Science to infuse statistical thinking, engineering, and methods including statistical design of experiments, response surface methodology, and measurement system characterization. 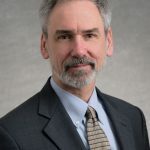 His expertise is in collaboratively integrating research objectives, measurement sciences, test design, and statistical methods to produce actionable knowledge for aerospace research and development. He holds a B.S. in Mechanical Engineering, a M.S. in Applied Physics and Computer Science and a M.S. and Ph.D. in Statistics from Virginia Tech. Dr. Parker is a senior member of the American Institute for Aeronautics and Astronautics, American Society for Quality, and the American Statistical Association. Dr. Parker currently Chairs the American Society for Quality’s Publication Management Board and previously served as Editor-in-Chief of the journal Quality Engineering.